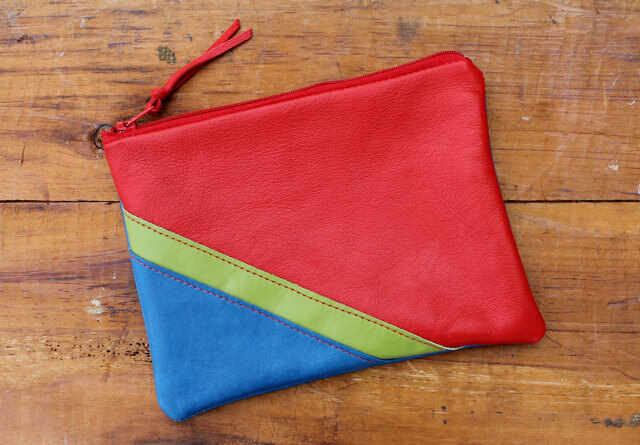 Here are some bright pouches made from recycled and/or remnant pieces of buttery leather. They are so much fun to assemble, each one a riff on the last. 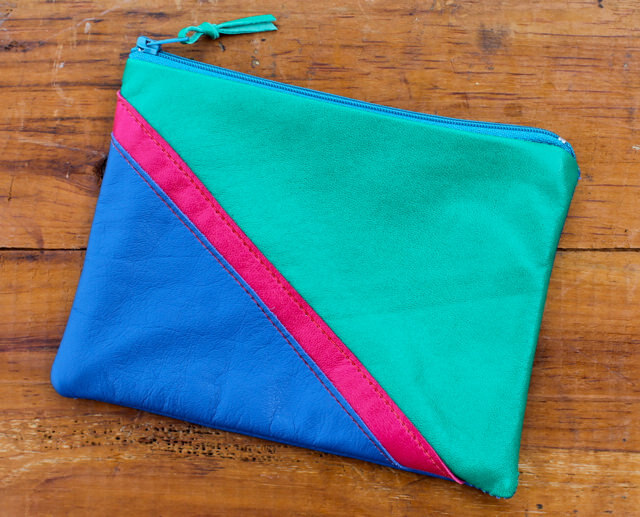 They are 7″ wide and 5.5″tall with coordinating zipper and cotton lining. 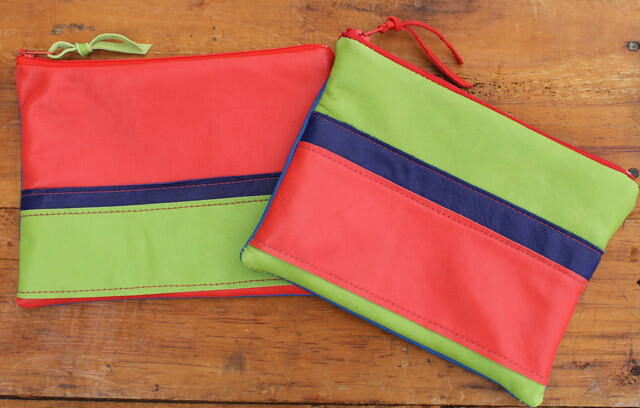 They are great storage for the small things you carry in your big bag and are bright enough that you can find them in the darkest and largest tote. 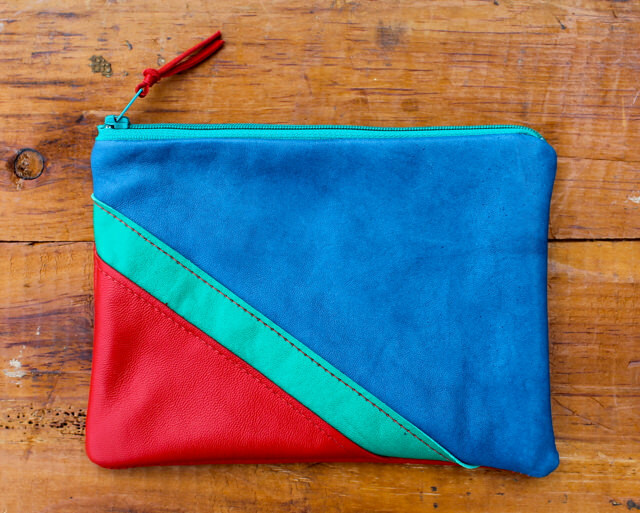 They can also travel solo with your phone and cards and other small essentials. These will be in the on-line store tomorrow. What a great gift! Ohhhhhh … LOVE the ones on an angle !! !